How do you fix an AC leaking water? My Central Home air conditioner leaks excessive water. It is very hot where I live. I turned on the Central air conditioner unit for the first time since last August. Once I turned it ON I heard water dripping and it was very loud. It seems to be way more water than normal. Is this because I just turned the AC ON or do I have an issue with my home AC having a leak? What can cause this to happen? FYI – The temperature is 95F here in Georgia and the humidity is very high. 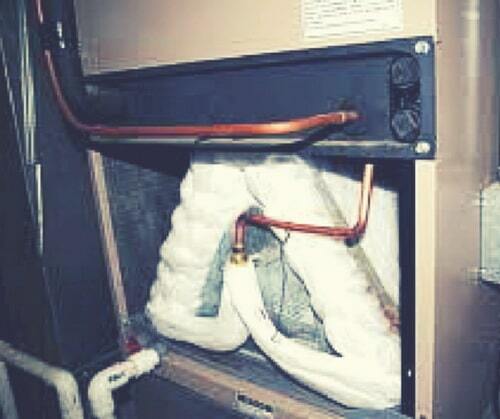 You may just be hearing the water coming from the AC condensate drain pipe if the weather is hot and humid. 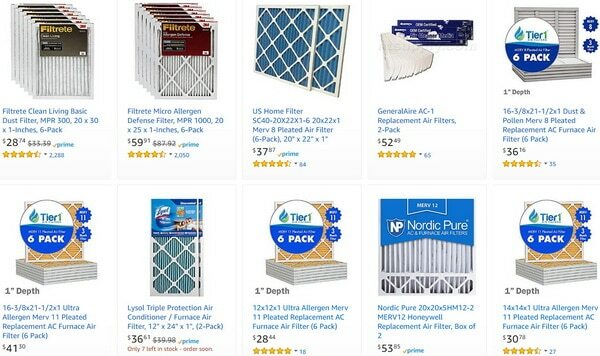 You may have a dirty air filter on the AC unit. A dirty air filter will cause a restriction in airflow to the evaporator coils. If this happens the coils may freeze up. 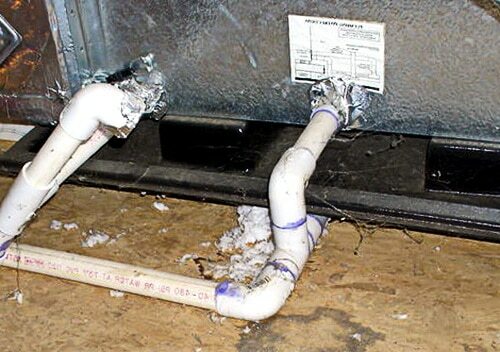 This can cause the water to spill out or overfill out of the condensate drain pan. Another issue may be that there is a hole or a crack in the condensate drain pan. 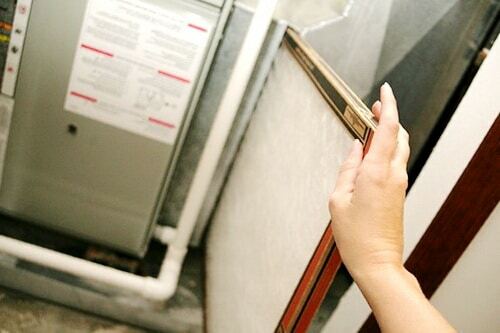 If there is a crack, this can allow water to leak out of the air conditioner at the bottom or sides. IMPORTANT NOTE: Check to be sure if the water is coming from the condensation line or from the AC unit itself, this will let you know where the issue is originating from and help you to troubleshoot the leak. Hearing water come down and through the AC condensate drain pipe is normal when the humidity is extra high. The loud water leaking out is normal when you live in a high humidity area, or if the humidity is abnormally high. The Central AC unit is doing it’s job and removing the extra humidity in your home therefore you may hear or see more water coming from the condensation tube. When the temp outside is excessively hot and humid, your thermostat is adjusted per the weather, and the quantity of water near the AC and or near the tube or pipe is more than normal, the issue is most likely normal because of hotter than normal weather. A small amount of water near the indoor/outdoor condensation tube is no cause for panic. This is normal when your air conditioner is working extra hard on a extra humid or very hot day. However, keep an eye on the amount of water coming out. If the amount of water increases even though the temp and humidity has stayed the same, the AC may need to be looked at by a professional. If the AC is leaking from the bottom or sides, change the air filter or call an AC pro as the condensate drain pan could be cracked and letting water drip out. Water coming from the AC condensate drain pipe may be the sound you hear if the weather is hot and humid. The air filter is most likely dirty on the AC unit and needs replaced. A dirty air filter causes restriction in airflow to the evaporator coils and the coils will freeze up. This causes water to spill out out of the condensate drain pan. The condensate drain pan may be cracked. This can allow water to leak out of the air conditioner. What Do I Do If I Find Water Leaking From The AC Unit? 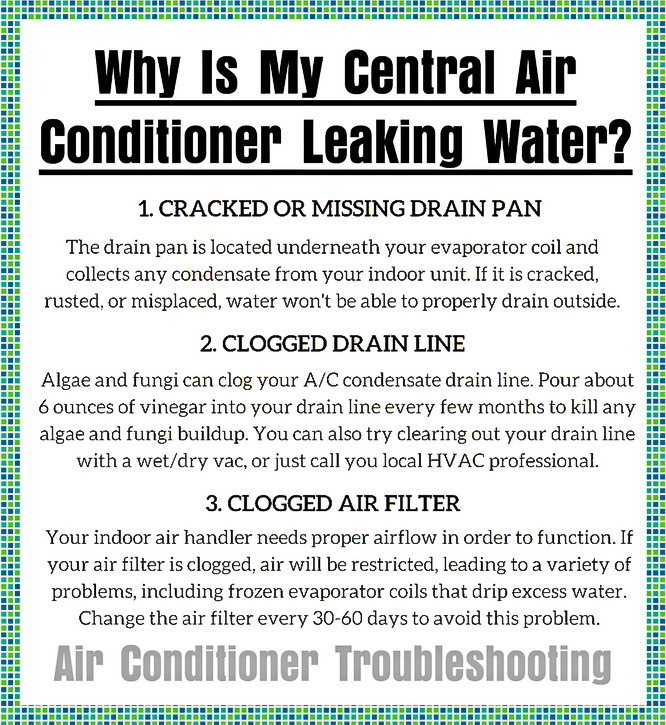 -Check the condensate drain pan for cracks. 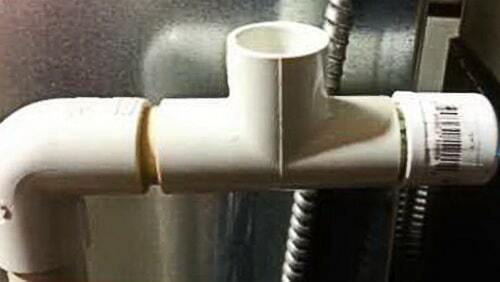 -Be sure the condensate drain pipe is tight and not cracked. -Make sure the evaporator coils are not frozen. 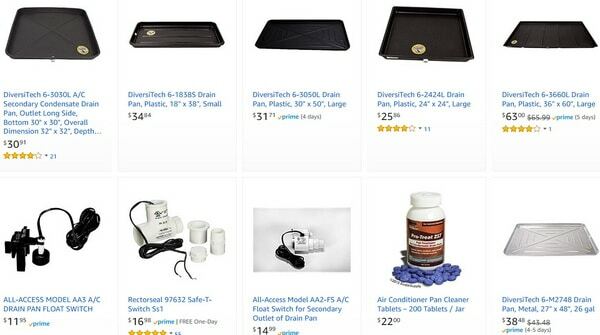 -Get a high quality Shop Vac and attach the suction hose from the Shop Vac to the AC drain line. Turn on the shop vac until water flows. -Get a Long Plumbers Snake and slide the end of the snake into the drain opening. Slide the snake up and down in the AC drain line until water flows. -Run Water From a Garden Hose Into the AC Drain Line. The force of the running water may remove the clog. 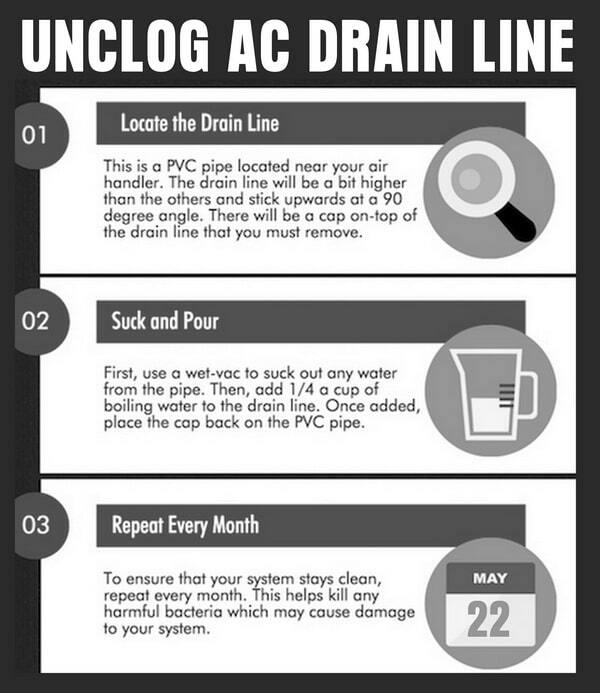 Use caution as as this unclog solution can add additional leaks if the drain line has a major clog. To prevent clogged AC drain lines, open up the access port and dump some boiling hot water down the drain line on a regular basis. NOTE: If your AC unit does not have an access port you can open the front panel of the unit to access the drain. Don’t have the right tools or don’t have the time to troubleshoot your AC? Hire an HVAC Air Conditioner Specialist near you today! HVAC specialists are, in general, experts at making your home’s interior comfortable by making sure your heating and cooling system is working as it should. HVAC is short for Heating, Ventilation, and Air Conditioning, and HVAC specialists can handle all of those heating and cooling systems in your home. Hire an HVAC specialist to handle your furnace, boiler, heat pumps, air conditioning, water heater, and thermostat woes. Whether your heating and cooling system is gas or electric, tankless or standard, full of water, leaking, or empty—an HVAC specialist hired through Amazon Home Services can handle it. Need help with your AC dripping water? Let us know your situation below by asking a question and we will have our AC professionals answer your questions. Next post: New Water Heater In New Home Not Heating – What To Check?